For the second time this season, we were given a 50 pound bag of potatoes. One of the easiest ways to preserve them is to can them. I follow the Ball Blue Book for canning procedures. Begin by washing, peeling, and cutting the potatoes into cubes. Place the cubed potatoes in a pot of cold water for 4 hours changing the water every hour or so. 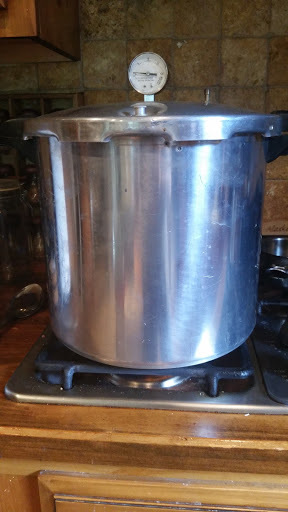 This helps remove the excess starch from the potatoes which makes the finished product much nicer. At the end of four hours drain the potatoes and place them into a pot of boiling water for 2 minutes then drain again. 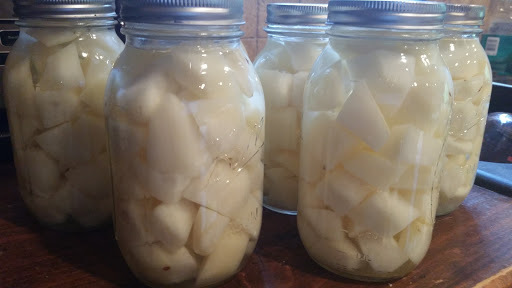 Put potatoes into clean, sterilized jars to within one inch of the rim. Add one teaspoon of sea salt to each quart jar. If you are using pint jars add 1/2 teaspoon. Table salt is not recommended for canning due to the iodine it contains. If you don’t have sea salt, kosher salt or canning salt will be just fine. Ladle boiling water over the potatoes leaving a one inch headspace. Remove air bubbles. Adjust 2-piece caps on jars. 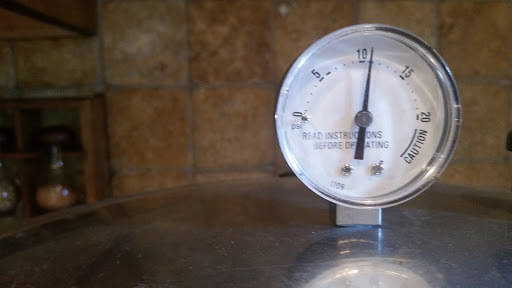 Process quarts for 40 minutes at 10 pounds of pressure and pints for 35 minutes at 10 pounds of pressure. Because our elevation is above 1000 feet, we process at 11 pounds of pressure. Before you attempt canning, PLEASE research the subject thoroughly. I began with the Ball Blue Book Guide to Preserving and still use it today. They update their publications periodically so this may not be the latest copy. Canned potatoes can be used in many ways. I use them in soups and stews, roast them for garlic herb potatoes, fry them for home fries. They are fully cooked when they come out of the canner making it a great time saver on those busy days.